➤ Upon arrival welcomed and transferred to the hotel . ➤ After breakfast, you will proceed to Alleppey, to board the Traditional Houseboat and start a long and meandering ride through the unique backwaters of Kerala in a thatched roof houseboat. ➤ The Kettuvalloms (houseboats) are comfortably furnished with an open lounge, bath attached bedroom and a kitchenette, and are extremely eco friendly. Every houseboat is manned by a crew - chef, helper and oarsman. Winding through the vast expanse of the paddy fields and tiny hamlets and palm fringed narrow canals is an unforgettable experience. ➤ Lunch, Dinner and overnight on the houseboat. ➤ After breakfast, you will proceed on to Cochin and check in at the hotel. 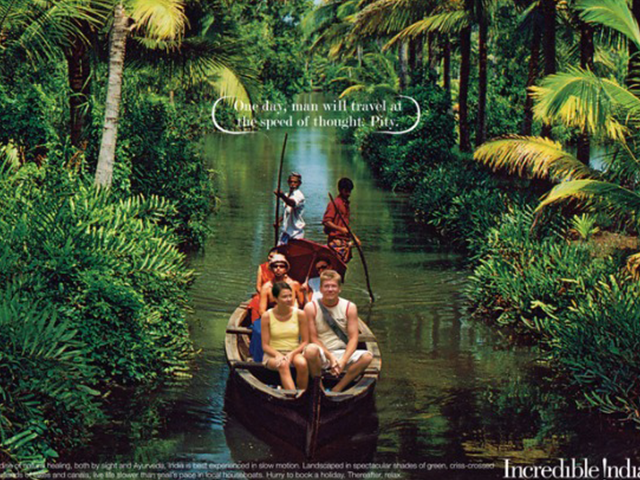 ➤ In the afternoon you will take a Guided Discovery Tour of Cochin. Drive through the tree lined avenues and quaint little lanes of Fort Cochin and you will see the St. Francis Church, Santa Cruz Basilica, Chinese Fishing Nets Fort Cochin Beach and the Dutch Cemetery. ➤ Then drive to Mattancherry (1 1 kms) and see the murals at the Dutch Palace and the 400-year-old Jewish Synagogue. ➤ In the evening you will be entertained to the famous Kathakali Show. This is a cultural show of the different art forms of South India. ➤ Dinner and overnight in the hotel. ➤ After breakfast, you are free to stroll around Cochin for personal activities. ➤ You will be transferred back to the airport to board your flight back home.